On Saturday, Ross and I went to the Dachshund U.N., which was part of the Next Wave Festival. It was part art instillation, part performance art and totally fun. We had a blast! 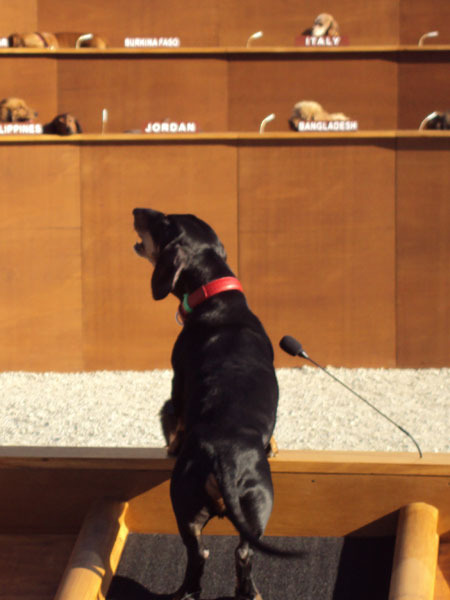 The artist (Bennett Miller) had created a scale replica of the United Nations and filled each seat with a Dachshund — 40 or 50 of them!